The hardcover toolkits consist of a hardcover nipping bar and a special paper guide. 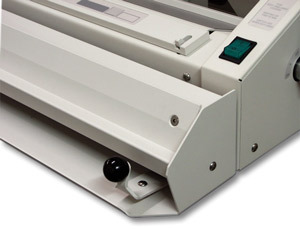 They make it possible for you to bind hard cover books with your Fastbind binding machine. Two different models are available for A4+ size (Secura, Elite) or SRA3 size (Elite XT) Fastbind binders. 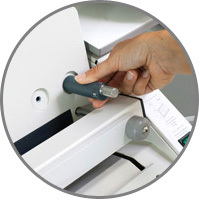 The optional cover trimmers, designed for A4+ size binders (not including Elite XT), are very easy to use and eliminate the need to measure and set-up a cumbersome guillotine trimmer. Two different models are available, as options.